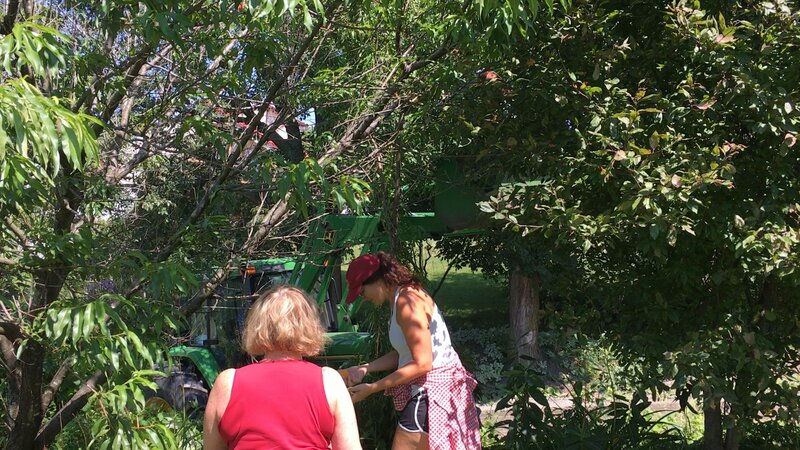 Well it has not always been the case, but one can grow some really delicious peaches in Vermont these days. 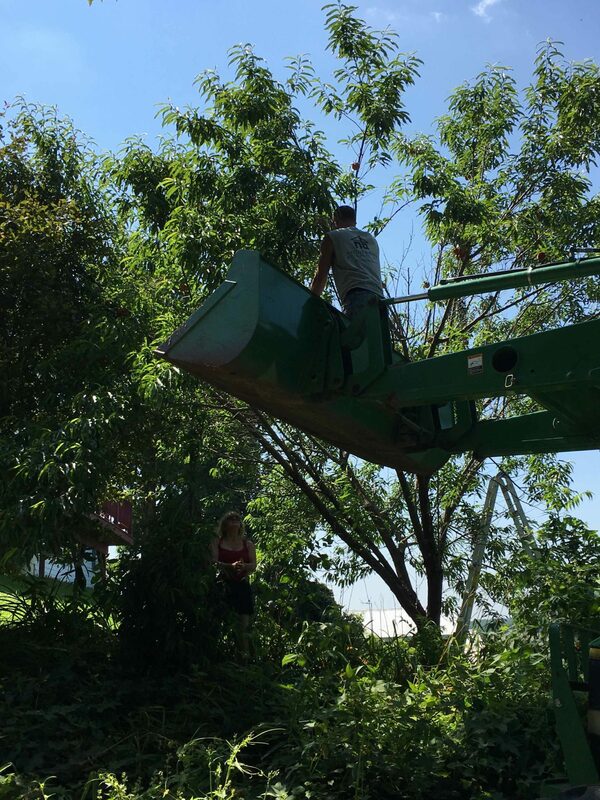 About ten years ago, Bob took a chance on some warmer weather, and more specifically less formidable winters, by planting a peach tree! 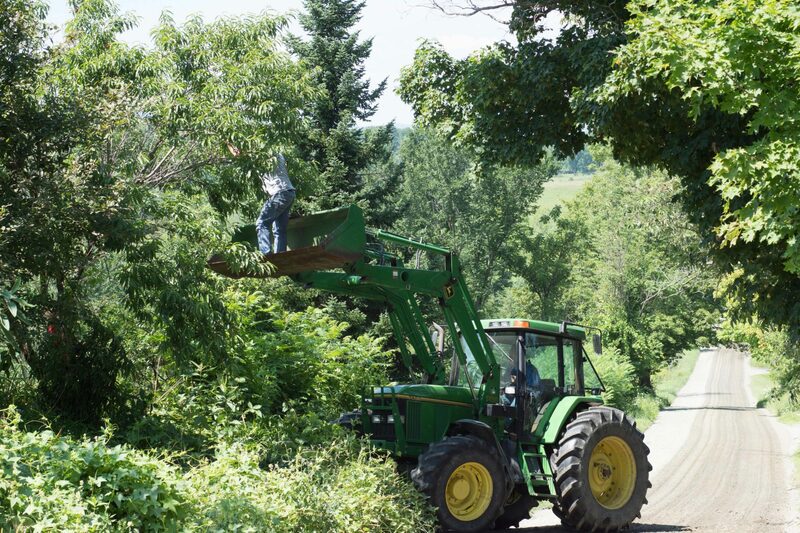 This is Vermont remember, not Georgia! 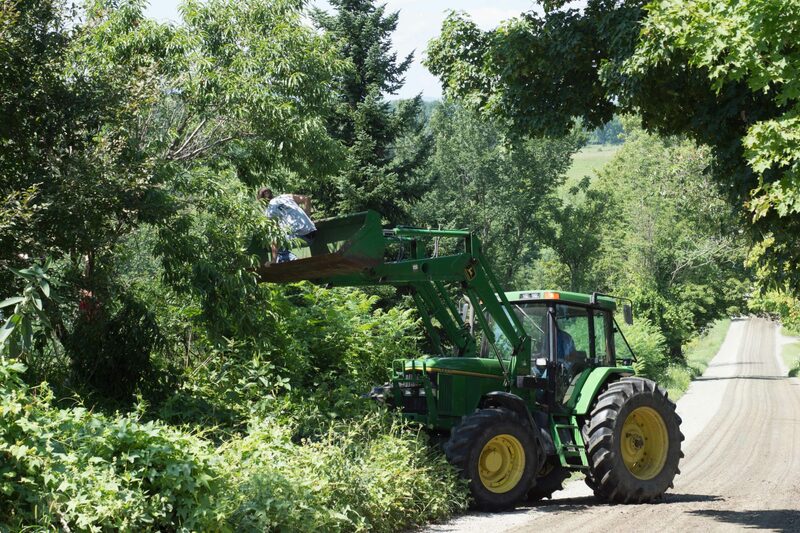 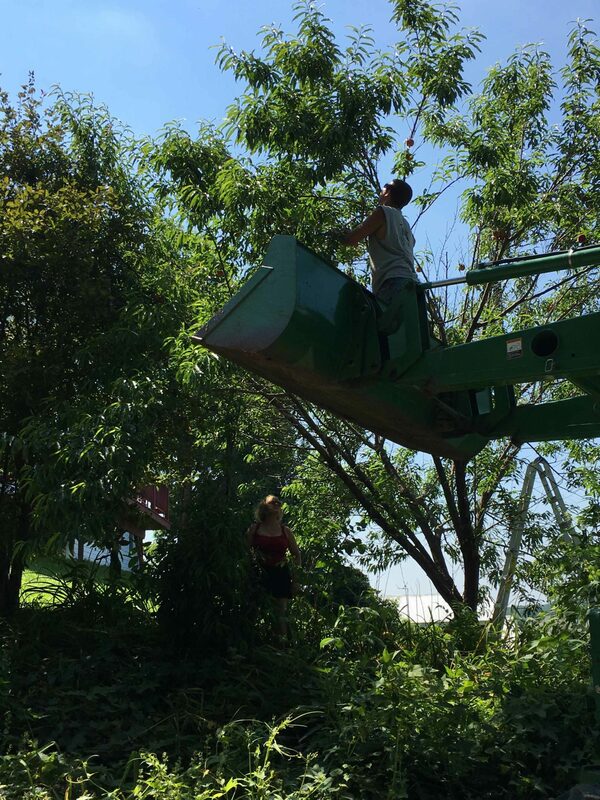 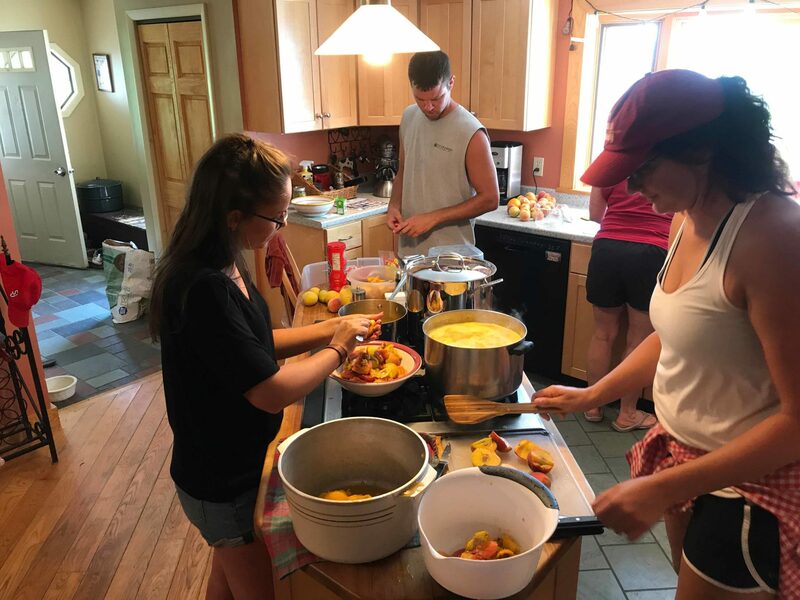 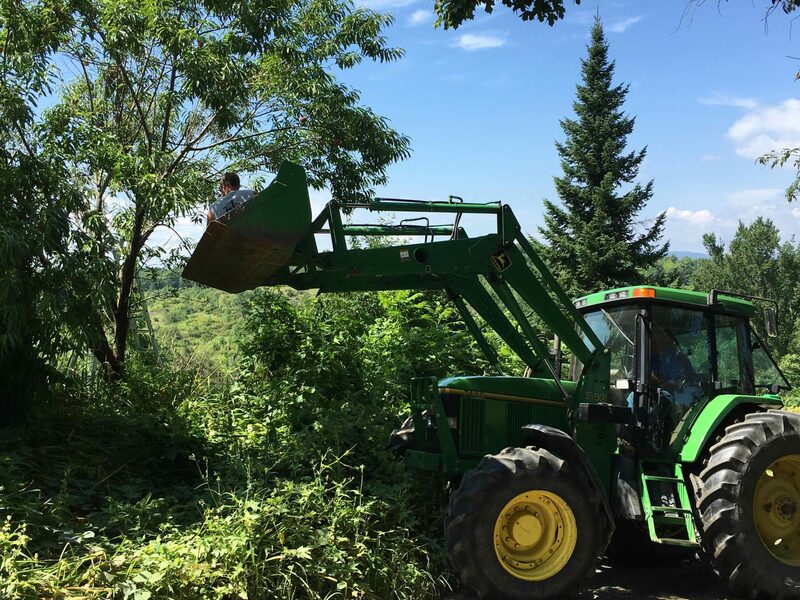 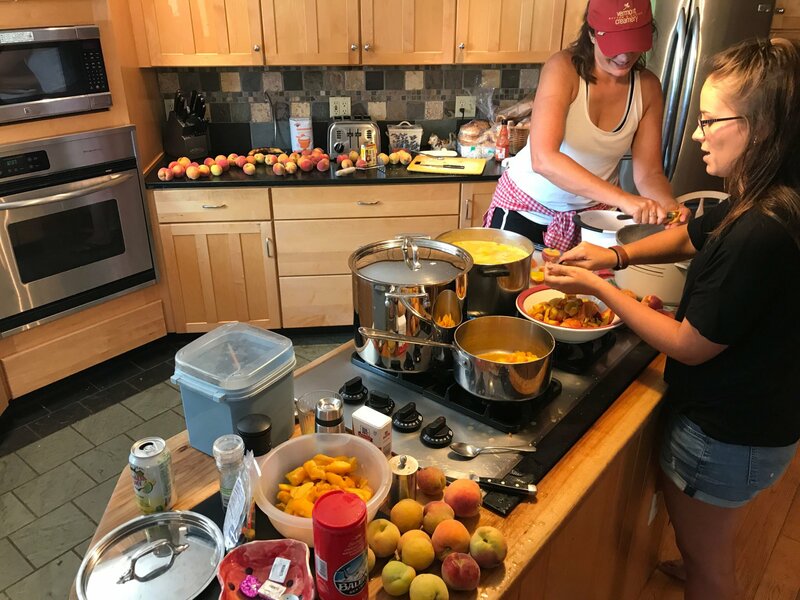 What you see below are pictures and video of the fruits of this year’s harvest, including Sam risking his neck in a bucket loader to get those peaches at the top of the tree and Pati, Ab, and Lea making some truly awesome peach cobbler!